Our life context sets the stage for our spiritual life. This context cannot be ignored. 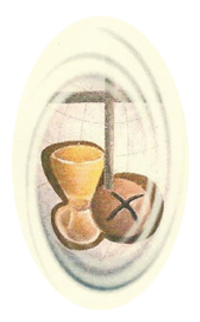 We learn to view it through the prism of the Eucharist and its values. "We want to be united with the same spirit of love which impelled Jesus to give himself as food, to seal the new covenant in his blood for the glory of the Father and the life of the world. " What are the outstanding characteristics of the world and the church today? How can the values of the Eucharist make a difference in this world, in this church? "The inexhaustible richness of this sacrament is expressed in the different names we give it. Each name evokes certain aspects of it. It is called: Eucharist, the Lord's Supper, the Breaking of Bread, the Eucharistic Assembly, the Memorial, the Holy Sacrifice, the Holy and Divine Liturgy, Holy Communion, Holy Mass." CCC 1328 - 1330. 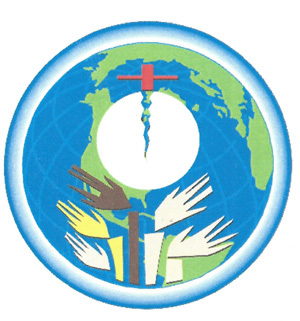 Congregation of the Blessed Sacrament: www.blessedsacrament.com for links to Emmanuel Magazine and eucharistic evangelizing.